Boy, if the world isn't full of all sorts of unexpected surprises! At first, we thought that a virtually immortal serial killer who can body hop might be a problem. And, we suppose it definitely was a problem for a while. But, nobody could have predicted what happens when the scary goes cute! 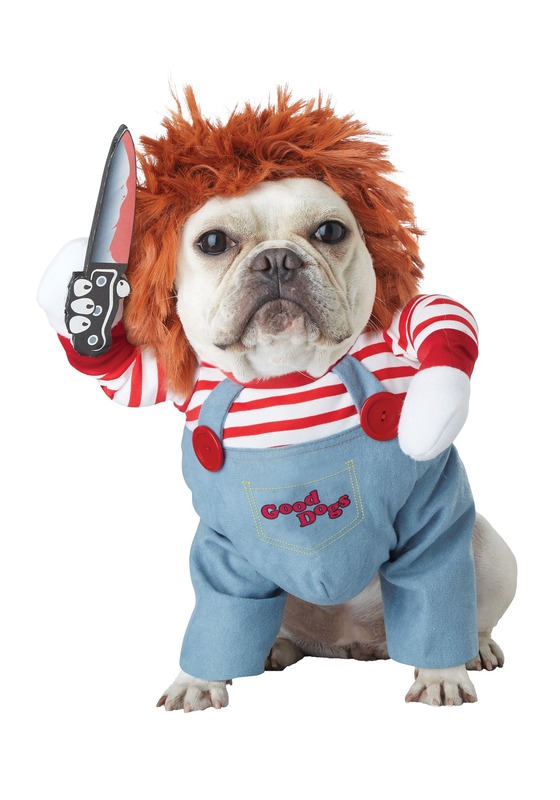 Let your doggo's inner monster run free with this Deadly Doll Costume for your Pup! This half coat and hood is a comfy fit for your pup and has the decorations of a delightful toy doll... except for that slightly suspicious knife he's wielding. We're pretty sure that's just to help you cut up the bacon bits, though! It is very important to remind your pup who's a good boy and girl. They need to know that kind of thing or they might become susceptible to the prying spirits of crazy killers. Fortunately, the worst case scenario of possessions is that they hunger for a few extra treats. You'll have a great time with your little murderer in this Good Dog doll costume.